Chapter 16: April 16th, Mendoza, Argentina. 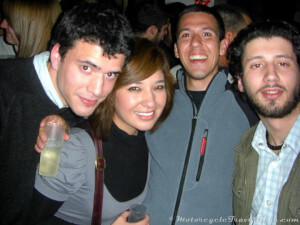 My last night in Mendoza I went out with Piojon and his brother to continue our consumption of Fernet. The strong bitter taste of Fernet Branca isn’t really my thing but this time I was able to graduate from the frowned-upon (by local men) Fernet Menta to the potent Fernet Classic. It’s an acquired taste. One that I won’t be pursuing. 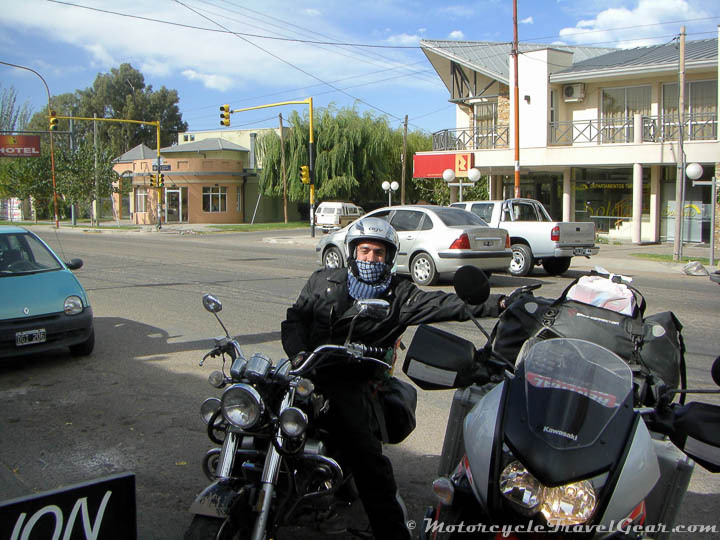 Walking down Aristides Avenue, where the nighttime fun in Mendoza begins, we ran into Fernando Ferreyra, the rider that Marco from Iquique put me in contact with. 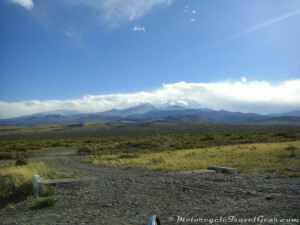 We had been writing each other to set a meeting point and see if we could ride together to Ushuaia. We sat together with a group of Canadian and American riders that had been traveling by motorcycle and briefly talked about the trials and tribulations of these types of journeys. The night eventually led us in different directions and it soon spiraled into a haze of blurry memories, undoubtedly fueled by the constant rounds of Fernet. In spite of a surprisingly mild hangover we managed to meet up the next day to keep heading south down the famous Ruta 40. That was the exchange I made. 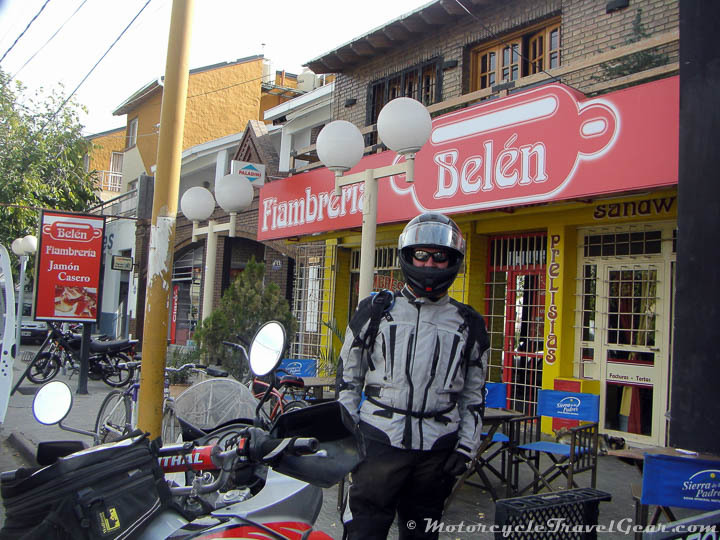 I essentially switched out my previous city-strolling travel mate (who would occasionally book hostel rooms for me) for a fellow motorcycle rider. In doing so I lost a familiar face but I gained a helpful partner in what would be a much more difficult part of the trip. 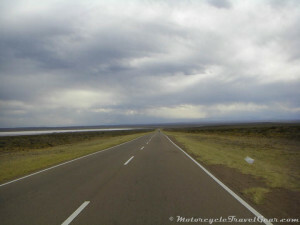 Ruta 40 is known to be especially difficult in the southern regions with its unpaved sections and dangerous high-speed winds. I got up as early as the previous night’s partying would allow and said goodbye to my friends. Piojon opened the door for me, wished me fortune in my adventures and went back to sleep. I also made a quick stop at Emily’s hostel to wish her good luck on the tan she was hoping to achieve in her next destination. She in turn advised me to eat more healthy and to not ride asleep. It was then off to meet my new travel partner and embark of the next part of the trip. Mendoza really did feel like the end of one stage and the beginning of another. When you start riding down the Ruta 40 you quickly realize that it’s going to be entertaining and above all, picturesque. Behind us were the luxurious vineyards and we began to venture into winding roads circling steep hills, boulders, bushes, and trees. It wasn’t long before we reached San Rafael and topped up on gas and food. We stopped at one of the few places that was still open to get a pizza and a dozen empanadas. I don’t know how shops in rural areas stay in business when even restaurants close during lunch. In any case, we completely overestimated the amount of food we’d be able to eat in a single sitting. We had to give away two slices of pizza. 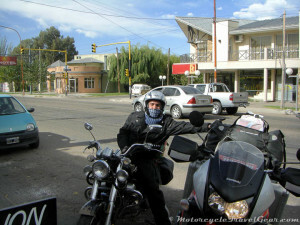 The empanadas we held onto and strapped them to the back of Fernando’s Kawasaki KLR 650 for later. We reached the town of Malargue at around 5pm. It’s a small but lovely little town where we got a first-class treatment. Upon arrival, we stopped at a Visitor Information kiosk where a few schoolkids timidly made their way up to us. They started taking pictures of the bikes and asked us where we were from and where we were going. These are the typical questions you get in this situation. Fernando went to get some information about the town and I stayed with the bikes while talking to the kids. When the rest of their group gathered up the courage to approach us and listen to road stories, I had over 20 teenagers in a semicircle taking pictures and asking questions. I was interrupted by a schoolbus that arrived to take them all on some field trip. They excitedly waved us goodbye and we rode into town in search of a place to spend the night. We ended up at Hostel City where they kindly let us store the bikes inside the lobby. The hostel was a little dark but decent and the girl that worked there was very, very nice to us. After we got settled in, we grabbed a drink at the town’s only bar (that was surprisingly on-par with any classy big city bar) and then went back to rest for the next day’s ride. 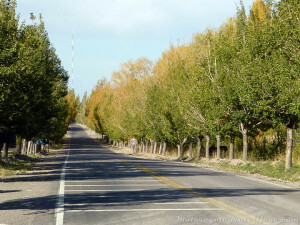 It was a long way to reach Bariloche and it would demand a good deal of physical and mental effort to get there.